mascarpone, chocolate, lemon curd and many other. Even though Pavlova started as a summer dessert, now it has increased into a famous cake for all seasons. Christmas Pavlova has become a must for all those who like the festive spirit of Christmas and summery feeling in one. 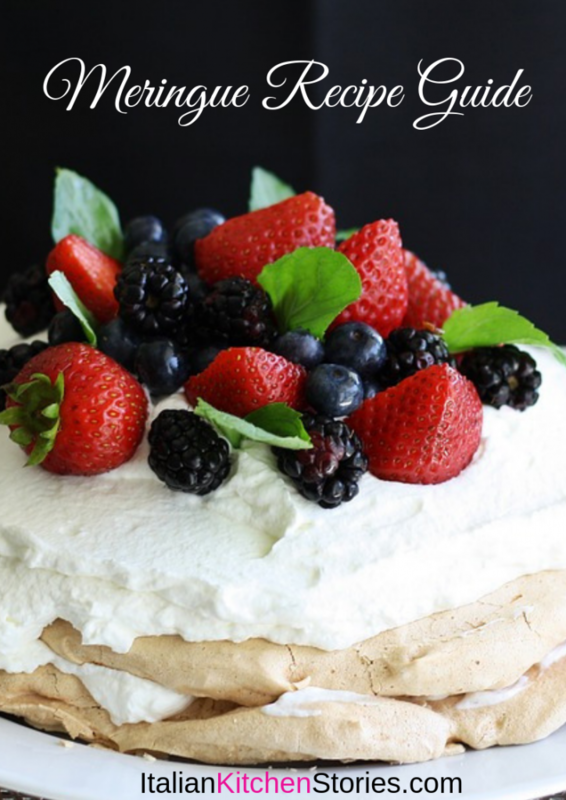 Today I’m going to share with you this super easy berry Pavlova cake I actually made for a Christmas. We had 13 people at the dinner and I thought, hey I need a cake that would be a surprise and not a typical Italian Christmas cake. If you didn’t know the traditional Christmas cakes in Italy are Panettone and Pandoro. If you haven’t tasted them until now, you should try them. 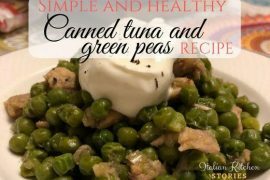 They are super yummy and simple so you can add cream or eat them simple as Italians do. Just slice and serve. Let me start off by saying that this was my first attempt of making the whole cake by myself. In the past, I have bought buy pre-made meringues and would finish them up. Spread the cream on the base and decorate with the fruit. Repeat if you are making several layers. Finish up with fruit. Spread some love with some powder sugar and voila your cake is ready to be served! High power mixer – you will need it for preparation of the meringue and for the whipped cream. I like to use self-standing ones as they give me free hands and I can prepare other things while it’s whisking. Baking tray – Based on the desired shape of your cake you can choose baking tray. I have simple large baking trays. Spatula – you will use spatulas when working out the meringue base and when adding the cream in finishing the cake. In my kitchen, I prefer having several sizes of spatulas. Do you? What is Pavlova? How do you make it? There has been a discussion if the Pavlova cake has the origin in New Zeeland or Australia. On the end, it’s been confirmed that the origin of this amazing cake is Australia. 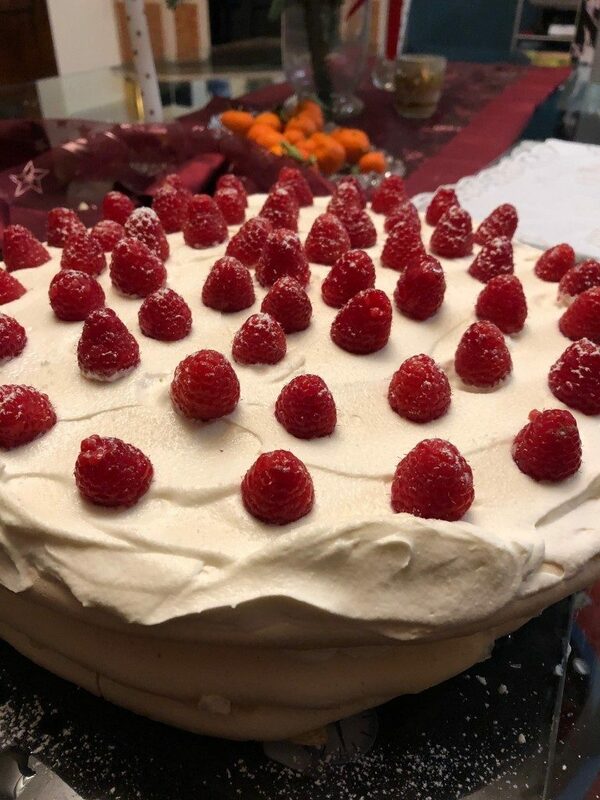 Allegedly, the Australian chef made if for a famous Russian ballerina Ana Pavlova and since then it has spread as one of the world most loved cakes. The base of every Pavlova cake recipe is the meringue. There are many versions on how to make the perfect one, but I love the simple 2 ingredient recipe from the famous Italian pastry chef Massari. Download the free Pavlova meringue recipeguide with extra tips here. For my large Christmas Pavlova cake, I have prepared the base of three large meringues. You can see on my pic that I have used the large baking tray and have used its entire surface. However next time I will make the modest kind of version in 2 layers (3 layers was over the top). For the creamy filling, I have used 500 ml of whipped cream, 300 g of fresh raspberries and 300 g of frozen mixed berries. Place the first meringue base on the flat plate (mine was bigger than all of my plates so I have used a glass tray). Take the spatula and spread the whipped cream over the base, and then add defrosted mixed berries on the top. Finally, add the third meringue base, then cover the cake with the rest of the cream and top it all with fresh raspberries. For a cool effect sprinkle them lightly with some powder sugar. I hope you have enjoyed it and that you will make it often. 1. What is the difference between a Meringue and a Pavlova? Pavlova is the name of the cake which contains meringue as a base. You can bake the meringue add cream and some fruit and that cake would be called Pavlova. 2. Why do Pavlova’s collapse? Pavlova’s collapse if the meringue break. Make sure that your meringue base is whipped well before you start to add it to baking tray. It needs to be smooth and that is doesn’t form bubbles during the baking. More bubbles you have inside the meringue, the more chances are that they will crack. Pavlova cake can be consumed during the pregnancy. However, if you are prone to diabetes make sure you don’t exaggerate your daily sugar consumption. Being very high in sugar Pavlova cake should be consumed moderately. 4. What temperature should you cook Pavlova? Meringue – the base for the Pavlova cake should be baked at a low temperature. I like to bake them at 100 C for two hours and then leave them in the oven overnight. Staying in the oven the meringue will cool down gradually. Cooling slowly will prevent the cracking later. It will also prevent the weeping later on. That said, you understand that Pavlova is not baked but assembled and the base for the cake is baked (not cooked). 5. Does meringue need to be refrigerated? Meringue doesn’t need to be refrigerated if they are made just as a base. Once you add cream you should put them in the fridge to preserve them. I like to wrap them in the baking paper and I store them safely in container so that they wouldn’t break. 6. How do you cool a Pavlova? The best way to cool Pavlova is to use cooled fruit and cream. As the Pavlova has the meringue base it’s advised to assemble the cake shortly before the use. If you assemble cake much in advance the meringue base will start to soften with the humidity of the cream and fruit juice. Once softened the Pavlova will lose its crunchiness. As for cooling the meringues, the Pavlova’s base its recommended that you leave them overnight in the oven so they cool down gradually. 7. How far in advance can you make Pavlova? Pavlova is best when made right before its consumed. The fact that you can make this cake so fast (assuming that you have made meringues earlier). 8. How long can Pavlova be stored? 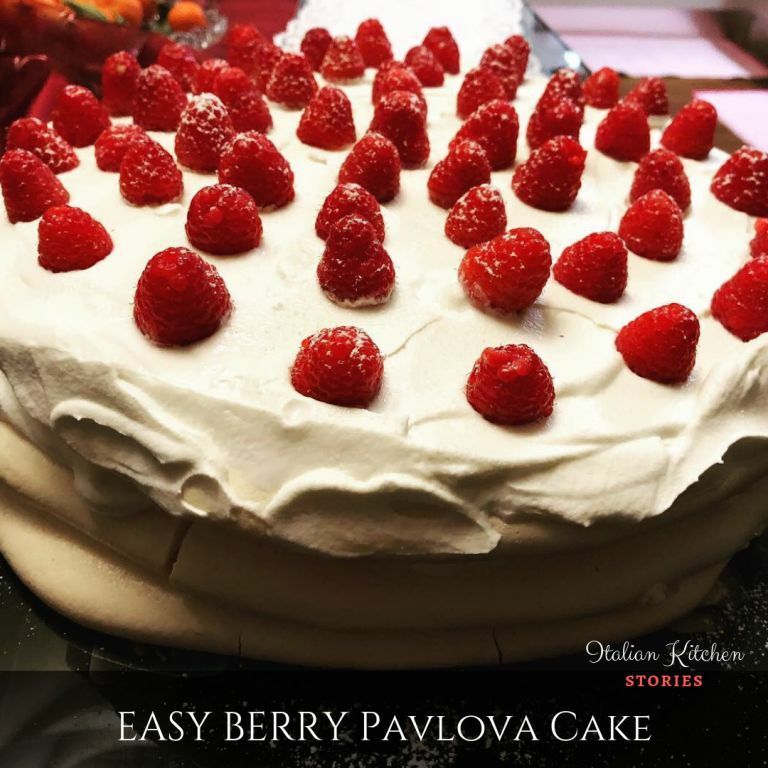 Pavlova cake is the best to be consumed immediately and you dont have any leftovers. Still you can keep it up to 2 days in the fridge. Note that by staying in the fridge the meringue base will change its form. They will become mushy and soft. 9. 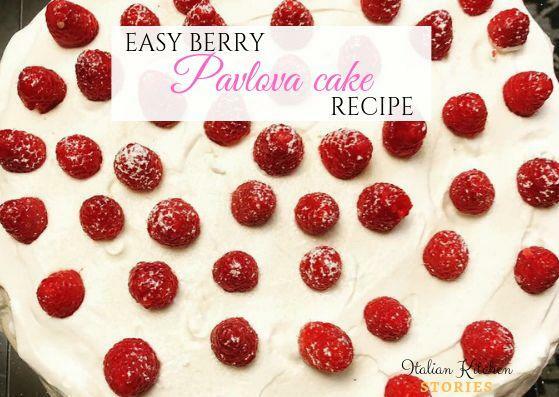 How do you make the perfect Pavlova cake? Perfect Pavlova is made starting with perfect crunchy meringue base. (Download FREE Meringue recipe guide with extra tips to make sure you get it right every single time). Then it’s topped with cream of your choice and decorated with your favorite fruit. 10. How to prepare Pavlova in Thermomix? You can use Thermomix to whisk up the eggs whites and sugar for meringue base using the butterfly whisk attachment. Whisk the egg whites until they become solid and don’t drip. Once you have whisked your eggs and sugar to perfect consistency place them on your baking tray and bake as instructed. The same butterfly attachment can be used when preparing your whipped cream as a creamy base on top of the meringue. 11. Can I make Pavlova cake the day before? I would advise you to make the Pavlova base (meringue) a day before. In that way, you will have a nice cool base to work with. However, I would not advise you to assemble the Pavlova cake the day before as the cream and fruit will become mushy and will soften the meringue’s and you will lose the crunchiness of them. Assembling is so fast (literally less than 10 min) so I’m confident that you would find the time to do it right before you would like to serve it. Let me know if you fell in love with this amazing cake. This amazing cake will win over the hearts of all your guests. It's so crunchy, creamy and fruity that every bite is a real pleasure. Place the first meringue base on a tray or a flat plate. Spread the whipped cream over the meringue base and add some defrosted mix berries. Add second meringue and repeat the process. Now add the third and the last meringue base. Cover it with whipped cream and decorate with fresh raspberries. Sprinkle powder sugar over the raspberries and serve immediately. I have made this cake in 3 layers making it quite tall and abundant, but you can also place only one or two layers and your guests will love it too. Feel free to play around with the toppings.